It’s important to leave as little trace of your presence as possible. Minimizing our impact on the environment keeps the eco-system healthy and allows us to continue enjoying it for years to come. As well as making sure future generations can enjoy it just as much. One small thing we can do, which has a big impact, is to use biodegradable toilet paper when we go camping. Today you’ll discover the best brands of tissue to use when enjoying time in the great outdoors. 1.1 What Is Biodegradable Toilet Paper? 1.2.2 How Long Does It Take For Standard Tissue Paper To Decompose? 1.2.3 How Long Does It Take For Biodegradable Tissue Paper To Decompose? 1.3 Is Biodegradable Toilet Paper Safe For Septic Systems? This is our top choice. This toilet tissue offers CleanRipple Texture which makes each sheet more productive, allowing you to use less sheets; helpful when packing your waste out. 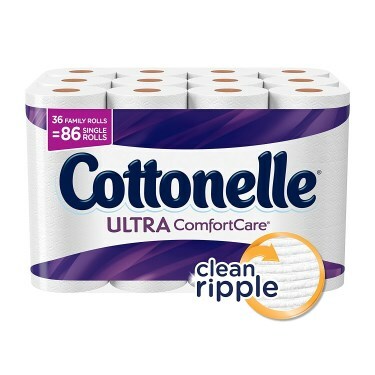 Offering SafeFlush Technology, this toilet paper by Cottonelle is safe for sewer and septic tanks. 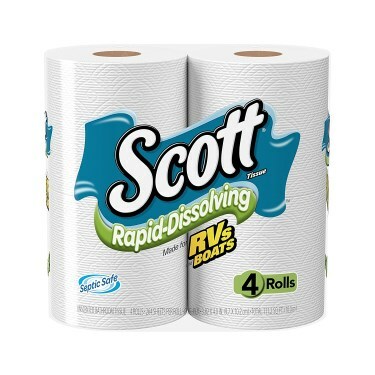 This “rapid dissolving” toilet paper breaks down quickly. Safe for sewers and septic tanks, this 1-ply option breaks up for times faster than the average bath tissue. Certified by the Forest Stewardship Council as made from responsible sources. 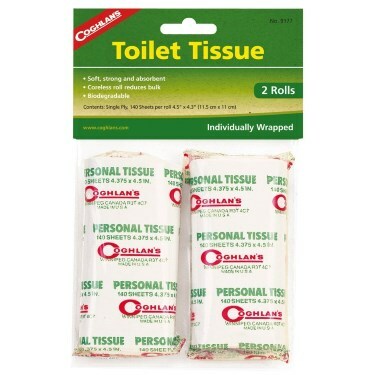 This 2-ply tissue is safe for septic tanks and does not fall apart when using. This bath tissue is portable and light, making it a great choice for outdoor activities like hiking and camping. 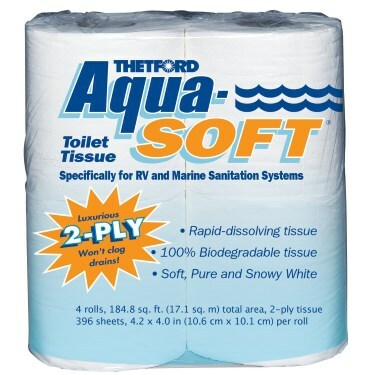 This 2-ply tissue dissolves quickly and is specifically made for RV and marine sanitation systems. A bonus is it is found to be soft and durable. These portable rolls are great for when you are lacking in space; perfect for backpacking. The tissue is 1-ply and is found to be absorbent. What Is Biodegradable Toilet Paper? All toilet paper is biodegradable, however there are some toilet papers that break down faster than others. When looking at different options for toilet paper, the paper’s thickness will make a difference when it comes to how quickly it will break down. Another consideration is whether or not it will release harmful chemicals when doing so. 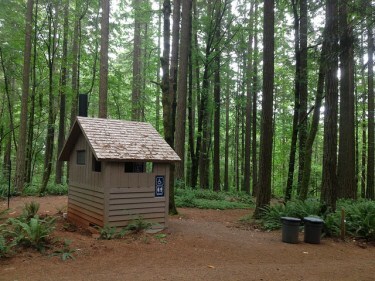 When camping, whether you are staying at an established campground with pit toilets or staying where you will be creating your own toilet (digging a hole, building a bucket-style toilet), biodegradable toilet paper will impact the environment the least while taking up minimal space. Standard toilet paper, which is made from trees will typically break down at a slower rate than biodegradable toilet paper and will require more water to do so. 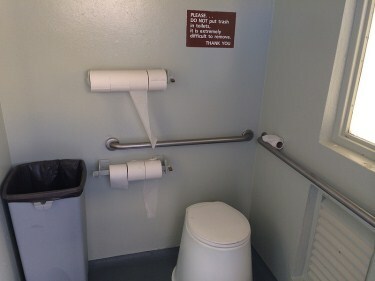 In addition, standard toilet papers often have fragrances and additives added to them that can lead to skin irritation. Made without additives, biodegradable toilet paper is great for those with sensitive skin. Biodegradable toilet paper is made from numerous materials, to include: bamboo, cotton, sugarcane-based bagasse, African hibiscus and wood fiber. These materials reach maturity much more quickly than trees and grow well in dry places, making biodegradable toilet paper more environmentally friendly than standard toilet paper. Standard toilet paper is made from trees; this means that trees have to be cut down for it to be made. It will then take years for a mature tree to grow in its place. Another issue for the environment is that when the toilet paper takes a long time to break down, there is more potential for a spill into a water source (whether from a septic tank or from toilet paper buried in the woods), which will then pollute it. How Long Does It Take For Standard Tissue Paper To Decompose? There are a variety of factors that go into how quickly toilet paper will decompose; this includes thickness and the elements that it is exposed to. Toilet paper will decompose at a different rate in a humid environment than in a dry environment, for example. How Long Does It Take For Biodegradable Tissue Paper To Decompose? How long it takes for biodegradable toilet paper to decompose will depend upon what it is made of, its thickness and the elements to which it is exposed to. Is Biodegradable Toilet Paper Safe For Septic Systems? Biodegradable toilet paper is safe for use in septic systems. It is less bulky and will dissolve more quickly, therefore using less space in a septic tank. 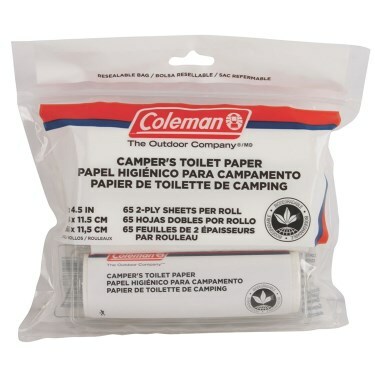 While all toilet paper is biodegradable, fortunately there are options that break down quickly while still meeting your needs when camping.